In its early discovery in psychology, eudaimonia was translated to mean “happiness” (e.g. Bradburn, 1969), the extent to which people are pleased or satisfied with their lives. This, however, did not adequately reflect Aristotle’s distinction between eudaimonia and its counterpart hedonia. According to the hedonic view, well-being is determined by happiness, and thus encompasses the presence of positive affect and the absence of negative affect by means of obtaining desirable possessions and action opportunities (Kraut, 1979). This view has found support in the top-notch research of Frederickson and Losada (2005), who, applying complex formulae from chaos theory, calculated that human prosperity is governed by an optimal ratio of positive to negative emotions: Individuals who maintain their “positivity ratio” between 2.9013 and 11.6346 will flourish, while those whose ratio lies outside of this interval will languish. Later, Brown, Sokal, and Friedman (2013) argued that the math behind this ratio might be even more complex! Another view is that one can be happy without being well, even that the pursuit of materialistic goals can be detrimental to well-being – and, simply, that there is more to a good life than just happiness. This moreness, sometimes also described as “human flourishing” (e.g. Hinchliffe, 2004), is what psychologists call eudaimonia. For a full analysis of this distinction, keep up with the Kashdans (e.g. Kashdan, Biswas-Diener, & King, 2008; but also Ryan et al., 2008). Obvious signs where to find eudaimonia, such as this one, are not often seen in life. But what exactly does it mean to flourish, to live eudaimonically? Throughout the psychological literature, various answers have been suggested using the precise, differentiated, unambiguous, and objective language of science: Eudaimonia encompasses “to recognize and to live in accordance with the daimon or ‘true self’” (Waterman, 1993; p. 678); it means “living a complete human life, or the realization of valued human potentials” (Ryan et al., 2008; p. 140); also, it can be “fulfilling one’s virtuous potentials and living as one was inherently intended to live” (Deci & Ryan, 2008; p. 2); and, finally, having “what is worth desiring and worth having in life” (Telfer, 1980; p. 37). If you feel that those definitions don’t really explain what eudaimonia is, consider that others appear to have found the answer, since, coincidentally, they mirror the promises and missions of a large number of spiritual groups. Followers of the Grail Movement, for example, have “firm volition for what is good, and strive to give purity to [their] thoughts” so that they may find “the way to the Highest.” A principle of the Association for Research and Enlightenment is that “innate talents and gifts that can be re-activated and used with your core strengths to meet your spiritual ideal and mission in life.” And, of course, Scientology enables individuals to “regain their basic personality, self-determinism and, in essence, become much, much more themselves.” Does auditing really lead to a eudaimonic life? 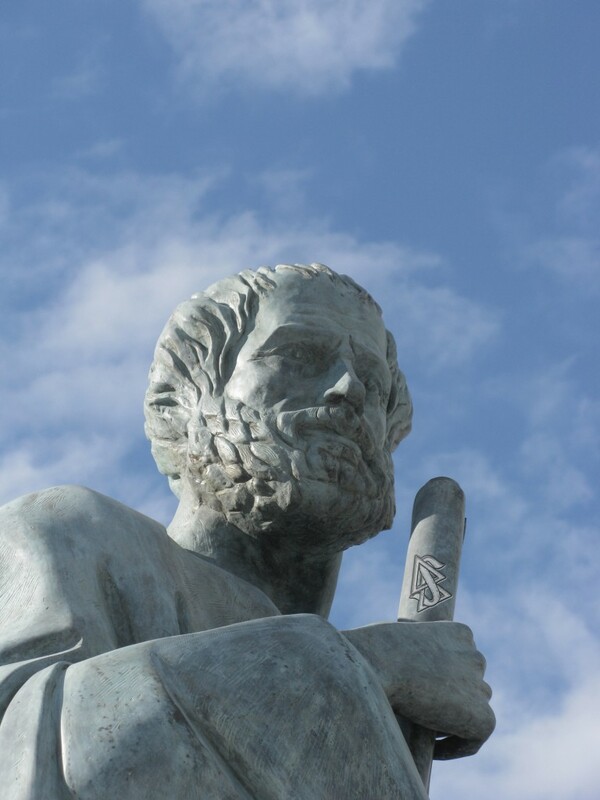 What’s not in the history books: Aristotle was not only a philosophical titan, but also an operating thetan (level 10). Some researchers (e.g., Bauer, McAdams, & Pals, 2008) have suggested that “narrative identities” might be conducive to eudaimonia. These life stories constitute the integration of a reconstructed past and imagined future with a sense of unity and purpose. The goal of such blatant self-deception reflections is to establish meaning by identifying one’s life as a coherently rich and flourishing process of growth. This general need to ponder life’s purpose and the human condition can, in fact, also be fulfilled when exposing oneself to narrative identities of other people – even of completely imaginary ones by watching movies that are “really deep” (Oliver & Raney, 2011). This is reflected in an important lesson one can, in fact, learn from watching the existentialist melodrama I Kina Spiser de Hunde (Herdel & Olsen, 1999): “Hvis du troede, du gjorde det rigtige, så var det det rigtige.” (“If you believe you are doing the right thing, then you are”). Not living according to eudaimonia’s credo has a host of detrimental effects up to severe health threats. Indeed, living eudaimonically generates subjective vitality, a psychological and physical energy that is available to the self for life pursuits (Ryan & Frederick, 1997). Psychologists are divided on whether this is the same energy whose expenditure would deplete the ego, or just another mysterious mind juice. A lack of this vitality is linked to decreased functioning of neuroendocrine, cardiovascular, and immune systems. In the study by Urry et al. (2004), eudaimones had a greater left than right superior frontal activation, a cerebral activation pattern associated with reduced likelihood of depression (finally providing the missing link between a flourishing life and a lack of depression). Ryff, Singer, and Dienberg Love (2004) found that older women with a eudaimonic lifestyle (also known as cougarmonia) had advantages for a variety of physiological substrates of flourishing, including salivary cortisol, noradrenaline, pro-inflammatory cytokines, glycosylated hemoglobin, waist-hip ratio, HDL cholesterol, and REM sleep. 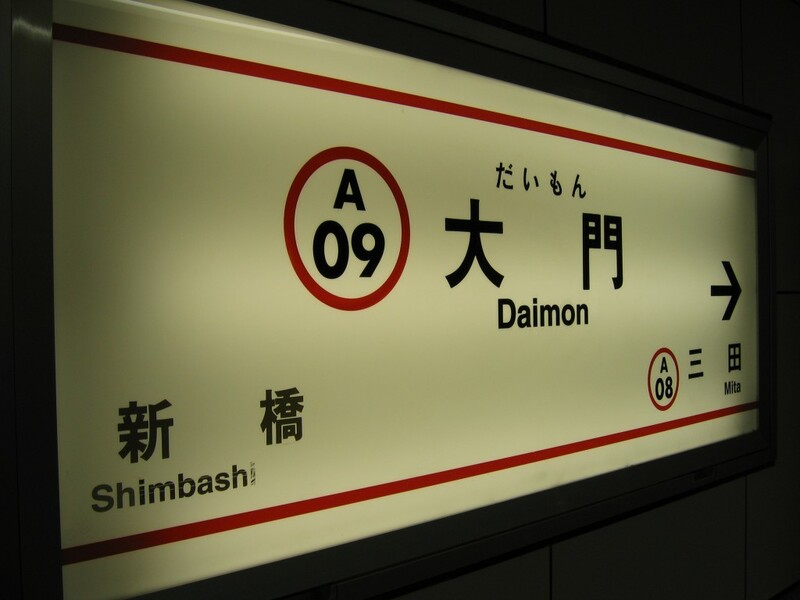 This research suggests that when the daimon is continuously neglected, it is only a matter of time until it leaves the body for good. In addition, there is an abundance of consequences for the psyche caused by insufficient eudaimonia in life: Those pursuing noneudaimonic goals have, for example, fewer experiences of moral elevation, and a weaker sense of personal significance and self-transcendence (Huta & Ryan, 2009). Also, they quickly adopt “Machiavellian interpersonal behavior” and show little social interests (McHoskey, 1999). 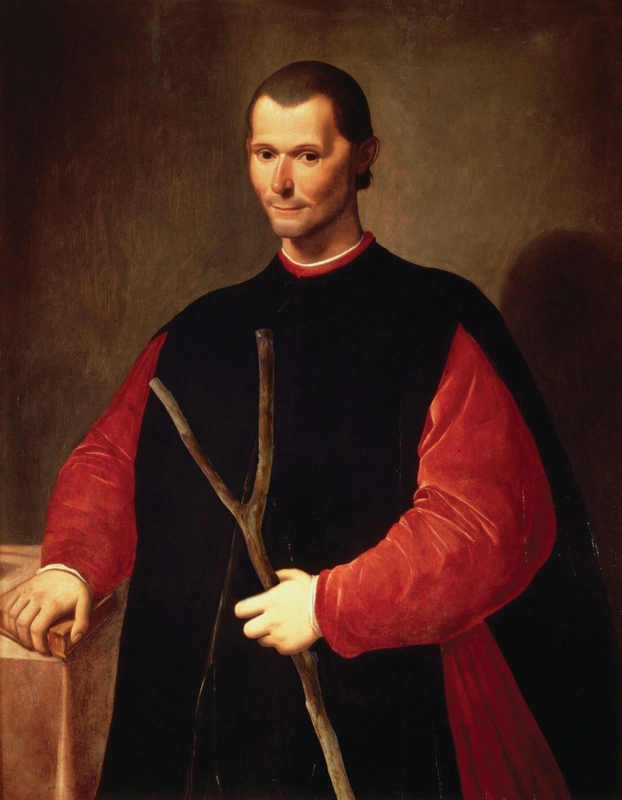 Niccolò Machiavelli's historically documented love for dictator-types was likely caused by a wrong type of divining rod. In short, eudaimonia is the key to intra- and interindividual harmony. Well, not anymore! Thanks to Dr. Primestein’s latest epiphany, a eudaimonic life is available to anyone, anywhere, anytime. With a simple device, everyone can have eudaimonic experiences at their disposal! 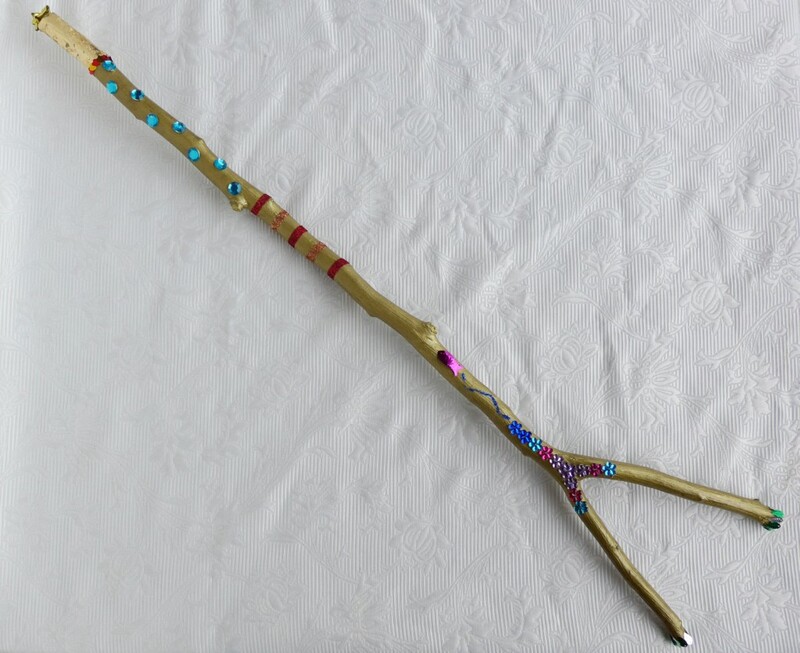 And the best news: One does not need to be rich nor white to purchase the Eudaimonia Divining Rod! To live eudaimonically means choosing to act virtuously rather than being drawn into excesses and accumulate material possessions. 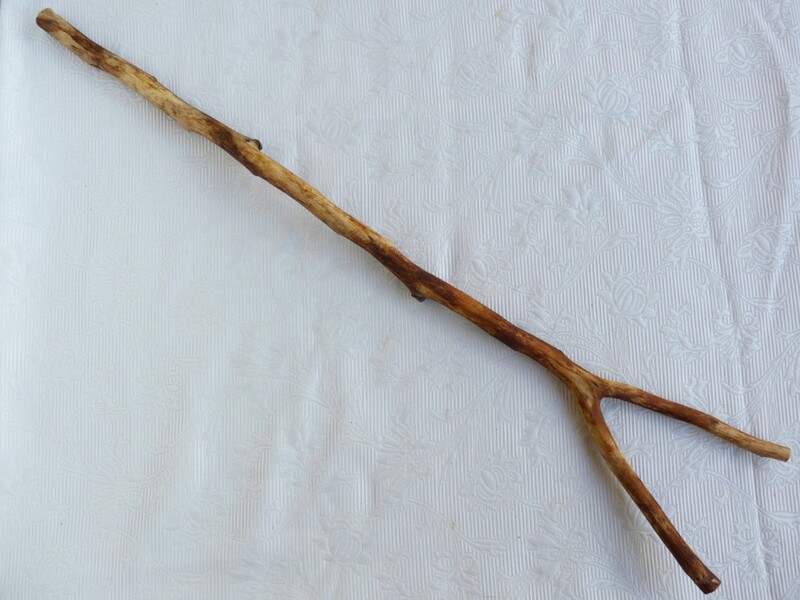 Dr. Primestein guarantees: The Eudaimonia Divining Rod will be the last material possession you ever needed to acquire. 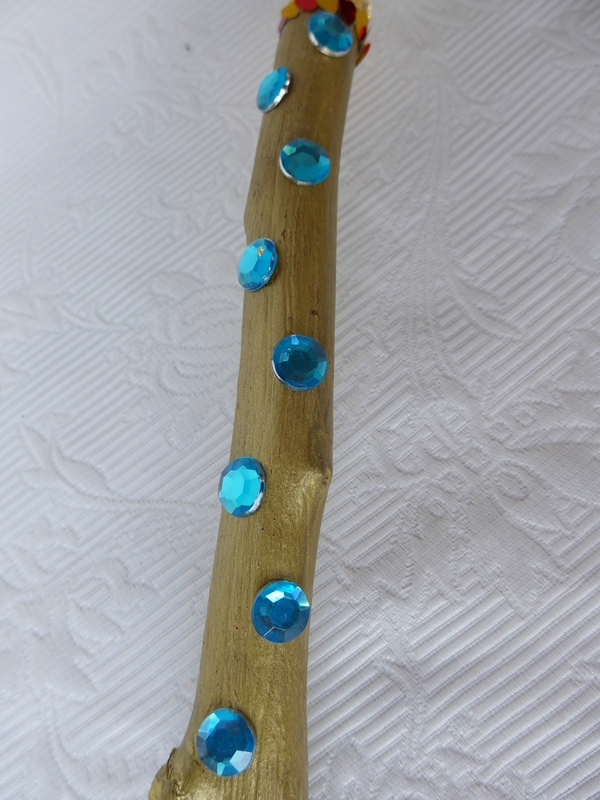 Using the Eudaimonia Divining Rod could not be simpler: Whenever you feel a lack of meaning in your life, just get out your Eudaimonia Divining Rod and it will direct you towards the closest opportunity to pursue excellence and actualize your most authentic and highest nature. Are you searching for the special one for eudaimonic matrimony? Just let the Eudaimonia Divining Rod point you to them – no need anymore for Tinder, Grinder, or dating websites. Looking for a eudaimonic flick? Dr. Primestein’s Eudaimonia Divining Rod will direct you to the nearest movie theater specializing in meaningful entertainment. Want to go on a fulfilling and self-enhancing trip? Forget travel agencies and GPS and just follow wherever the Eudaimonia Divining Rod takes you. 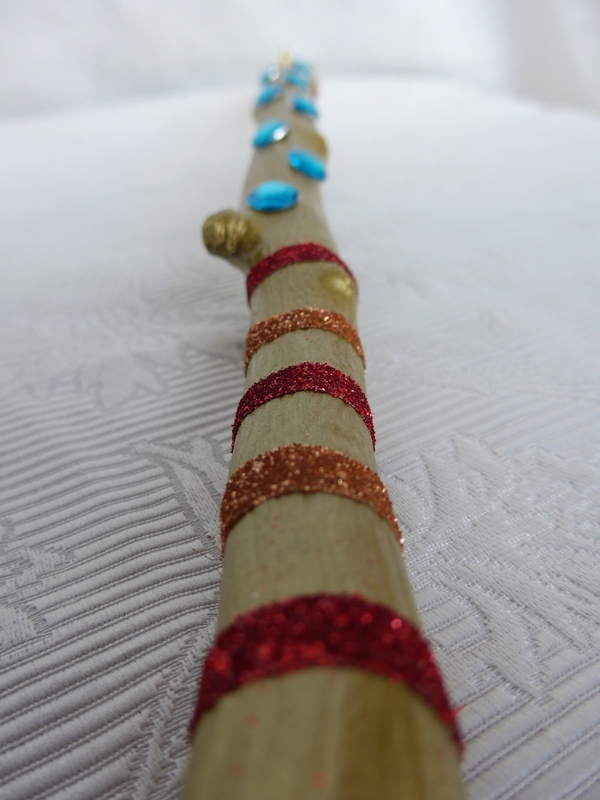 The Eudaimonia Divining Rod will aid you in being mindful and receptive towards what is true in all of your searches in life! If you want to be extra sure when looking for meaning in life (and elsewhere): The Eudaimonia Divining Rod Premium Edition for individuals at the high end of the socio-economic hierarchy has some serious swag, and a lot of extra features for your convenience to discover. For example, check out the energy gems displaying your daily and four week average positivity ratio! It’s up to you to decide “what constitutes too little, or too much, life purpose” (Ryff & Singer, 2008; p. 34). 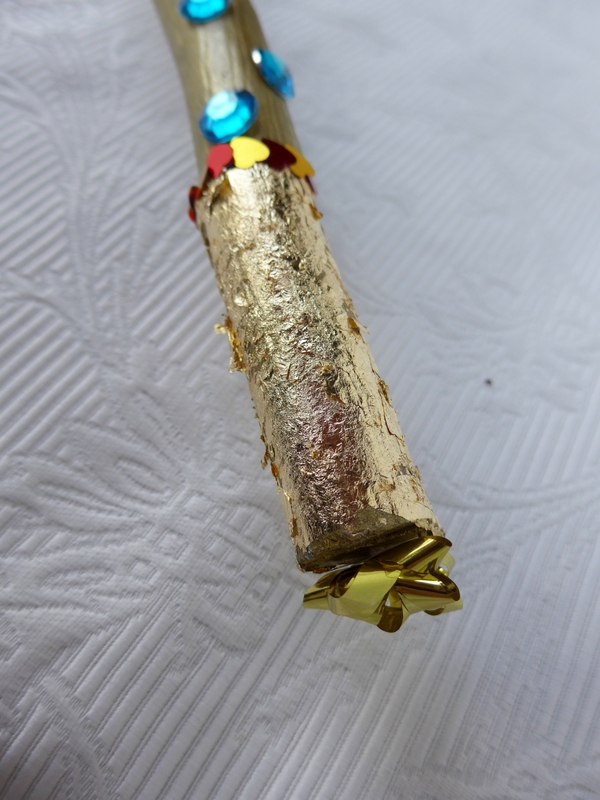 Eudaimonia originally connotated being “blessed by the Gods.” Buying the Eudaimonia Divining Rod, the result of half a century of psychological research on human well-being and the inventiveness of Dr. Primestein, could be your first step on the path to eudaimonic heaven on earth! 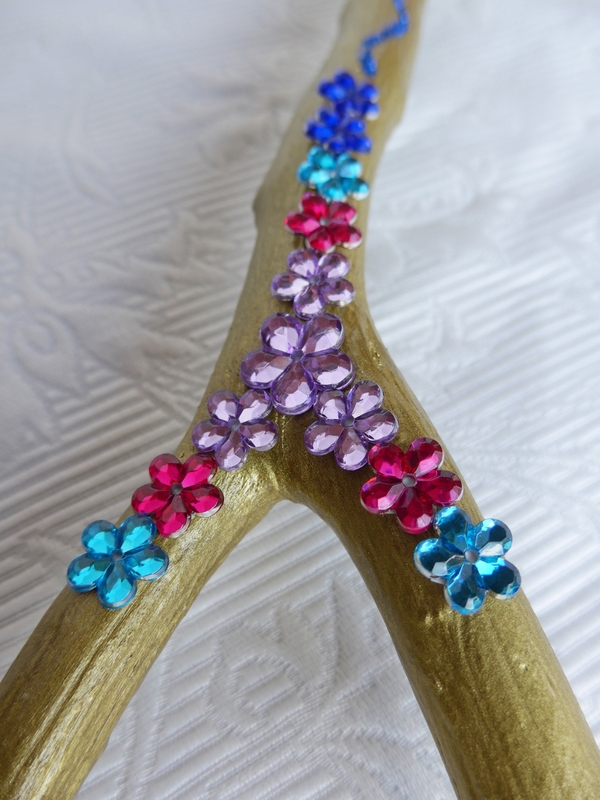 Due to an overwhelming demand, we are just out of Eudaimonia Divining Rods! But don’t worry, new ones are in the making. Just pay a visit psi-chology.com every now and then to make sure you won’t miss the next batch! Aristotle. (2002). Nicomachean ethics (S. Broadie & C. Rowe, Trans.). Oxford, UK: Oxford University Press. Bradburn, N. M. (1969). The structure of psychological well-being. Oxford, UK: Aldine. Herdel, S., & Olsen, L. S. (1999). I Kina Spiser de Hunde [Motion picture]. Denmark. Seligman, M. E. P. (2002). Authentic happiness. New York, NY: Free Press. Telfer, E. (1980). Happiness. New York, NY: St. Martin’s Press.